Price for each chair: £4,975 + VAT. 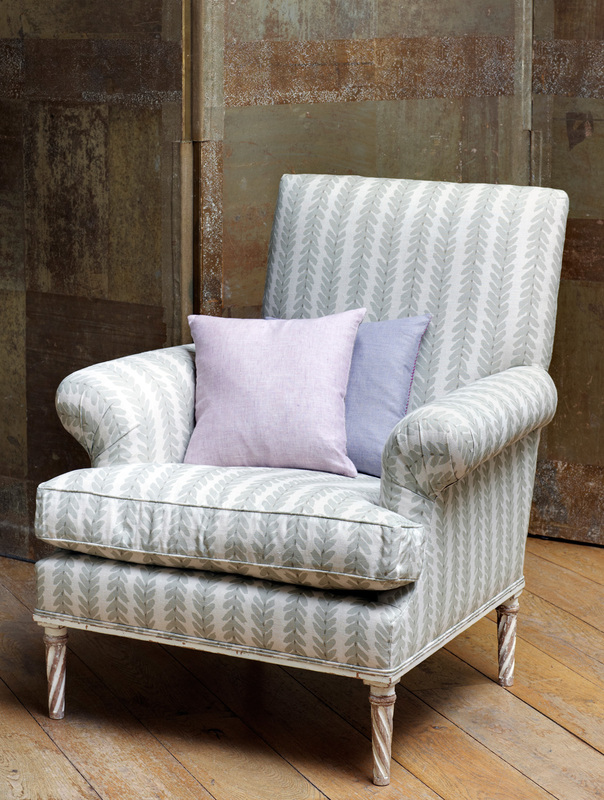 To custom make an upholstered armchair with painted and carved wood spiral fluted legs. To include upholstery with fabric supplied by client (6.5 metres of fabric required).